In 1837 civil registration began. 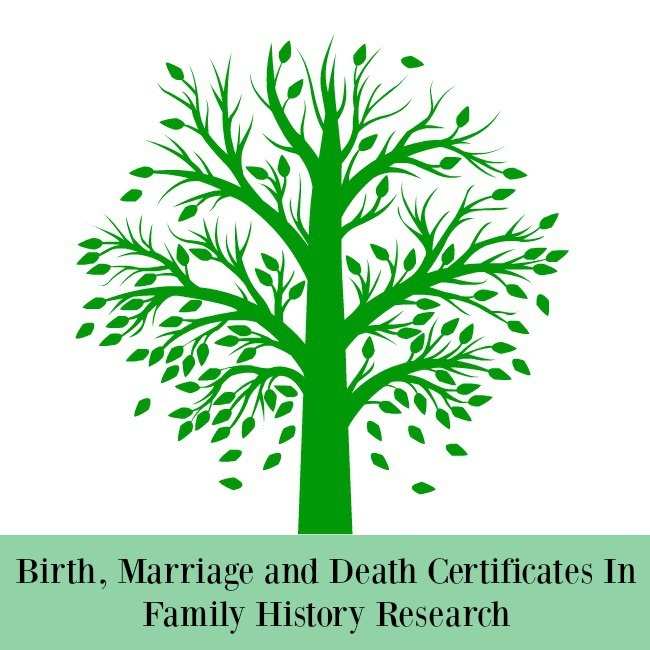 All births, marriages and deaths had to be registered and a certificate was issued. This is a wealth of information for the family historian. Each certificate gives us a little information to lead us back another generation. Instructions on how to find the correct entry and order a certificate can be found in my Guide For Absolute Beginners. As I write a certificate will cost £9.25. This is a lot of money so before you order what information will you find? This seems all fairly straightforward. A baby is born, the mother or father registers the birth so all the details are correct. Except that is not always the case. The baby may not have a name yet, the birth date may be tampered with to avoid a late registration fine and the father's details may be missing if the birth was illegitimate. The example above is my great grandmother. According to this certificate my great, great grandmother Harriett was married to Philip Lang Sturley and had a daughter with him. Her maiden name was Beeton. Selina was registered a few days before the cut off point of six weeks. This all seems fine except Selina's mother was born Harriett Sturley. She had previous children and the father was named as George Beeton ( a commercial traveller) but no marriage has been found. She was living as man and wife in 1871 with Philip Christian Lang, a baker, but again no marriage has been found because he was already married and his wife was still alive. 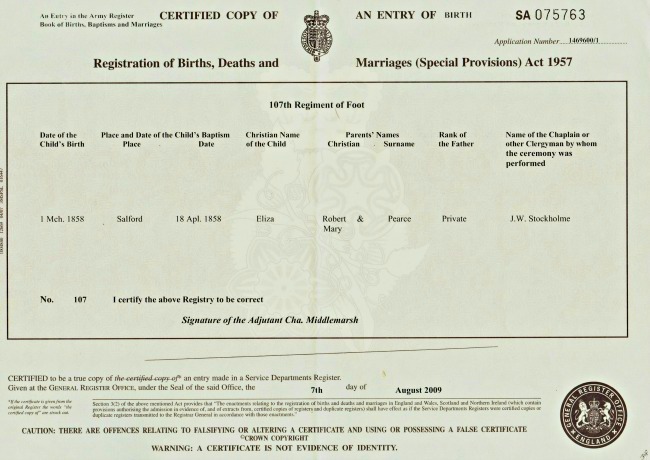 I have used this example to show that certificates are not always what they seem and that accuracy was dependant on the person registering the birth. 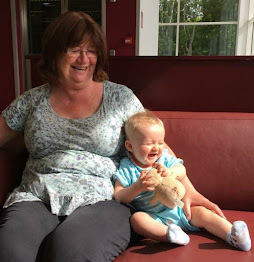 In this case when the father was asked for the mothers name he would have correctly given it as Harriett Sturley and then given her previous alias as her maiden name? When asked for his name he may have given it as Philip Lang but the registrar, assuming they were married, writes Phillip Lang Sturley. Usually the birth certificate will give you the mothers maiden name and the fathers name so we can look for a marriage to find their fathers. As I have no marriage for Selina's parents I have used her own marriage certificate as an example below. It will also have the signatures, or a mark, of the couple and at least two witnesses. On the example above my great grandmother is now calling herself Selina Beeton and her father is Philip George Beeton, an confectioner. One of the witnesses is her half sister Hetty Bishop. The couple appear to be living at the same address but this was most likely to avoid two sets of fees for the banns. I doubt that they were cohabitating. It is always interesting to note the cause of death but for those researching their family tree other information may be more important. Such as who registered the death and where they died. These may give clues or confirm that this is the correct person. Interestingly on the death certificate of my 4x great grandmother Mary Betts her occupation is wife of Isaac Betts carpenter. Although nowadays we may shudder at this, it is nevertheless confirmation that I have the correct death certificate. Even knowing the date of birth of my 2x great grandmother Eliza Pearce, would not have brought her birth registration up on FreeBMD as she was registered on the Army Register in Salford. 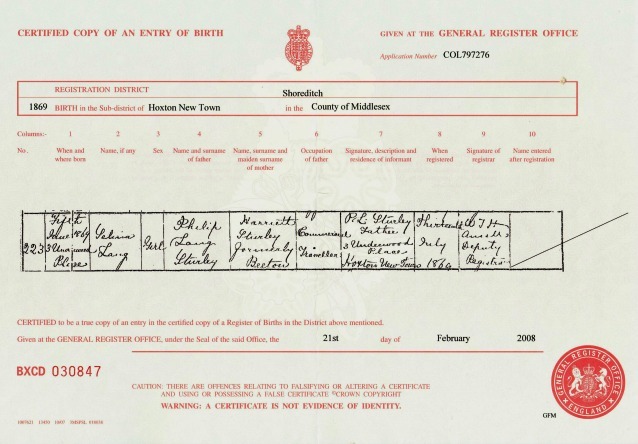 The Army birth index can be found on findmypast. If a general search does not bring up the result you need go to their A-Z of record sets and type into the search "British Nationals Armed". It will bring up all their records for you to search individually. When I found my ancestor the indexes were not digitised and I had to search by browsing each page. Although this is time consuming it is a shame that this option is not available any more. Eliza was baptised Eliza Pierce and registered Eliza Pearce. I may not have found her so easily now. Once you have the index number, certificates are ordered from The GRO in the same way. Being the daughter of a soldier Eliza Pearce went to India with her parents. Very soon after arriving her father died. This left her mother alone in India with three young children. She quickly remarried and Eliza at the age of 15 married my 2x great grandfather. To find their marriage I used the Families In British India Society FIBIS free database. Some transcripts of BMD's in India are also available free on familysearch. Once I had the details; the year, volume number and folio I applied to the British Library India Office for a copy of the register (below) the only additional information was the witnessess. The first being her new step father, which confirmed her mothers marriage. This cost me about £25 seven years ago. Now the images are available on findmypast as part of a World wide subscription. Again I found it easiest to go to their A-Z of record sets and type into the search "India" and search each set individually. I make this sound easy but it took about two years to find this information and piece it all together. I did know that my great grandfather was born in India and that his father served there. I hope this has helped you understand the information available on a British Certificate. If you have any questions or interesting stories please leave a comment. I would love to read them. All images are Crown Copyright. 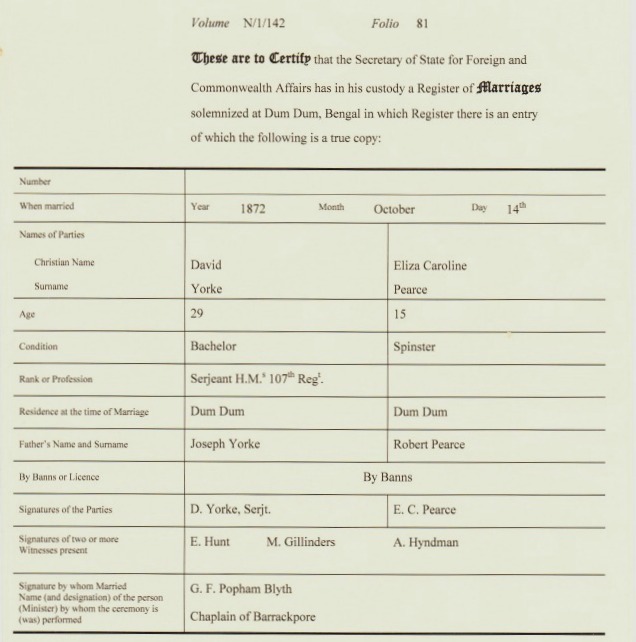 Details of reproduction of certificates can be found here. I have subscriptions to both Ancestry and Findmypast that I purchased myself. I use these sites as examples because I am familiar with how they work. There are many sites on the internet that for payment may have similar records. Would you like to read more tips for beginners? Then just click on the tree below or the Family Tree tab above.